Consulting can take many forms, but it must increase your ability to lead your church or agency in world evangelization. The speed of change today is unmatched. Ministry opportunities appear and disappear almost overnight. Sometimes it can be difficult to keep up with the shifting church, societal and global environment. If you are struggling with these dynamics, DualReach can help. DualReach draws from years of church and agency experience, consulting and academic research. We understand how organizations can adapt to the changing landscape and successfully participate in the Acts 1:8 mandate. While each consulting opportunity is unique, here are some of the ways DualReach can assist you and your congregation. New Chair? Are you a new missions chair who needs guidance on where to begin in implementing a local and/or global outreach? New Eyes? After extending God’s kingdom for many years, is it time for a “new set of eyes” to help you assess you ministry and consider future steps to take? New Insights? Would you like to regularly dialogue with an experienced practitioner about mobilizing your church for world missions? New Solutions? Would you like help in considering a specific issue (ex. how to choose a focus or how to maximize your outreach dollars)? New Thoughts? Would you like to spend individual time with church leaders of dynamic missions ministries in southern CA and then dialogue with someone about what you heard and how it might apply to your situation? New Hands? Would you like someone to step into your missions ministry for a temporary period of time to assist you in carrying out your local/global outreach activities? New Places? Would you like someone to explore with you new places of ministry for your church outside of the USA? It might be a location God has laid upon your heart or a country like Pakistan where you may not have considered the possibility of service. Do you need help to connect with ministries on location in the country? The consulting timeframe depends upon what you want to accomplish. It can be as short as a few hours or as long as 18 months. Day of discussion: Provide DualReach with a list of questions you and/or your outreach team want to discuss and then spend 4-8 hours in dialogue about them. Weekend of assessment: Request DualReach to audit your outreach ministry and provide recommendations. 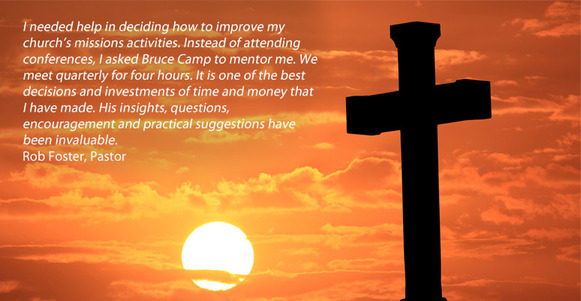 Three days of interaction: Learn from high-powered missions churches. DualReach can coordinate the meetings, travel with you and help you process what you are hearing. Year of dialogue: Ask DualReach to meet with you every two to three months to discuss your local and global outreach philosophy, practices and obstacles. Contact DualReach to discuss how we can help you and your church in outreach.